The first company, let’s call them Company A, responded to our online request quickly and had their guy come out on a Saturday to look at the job and provide us with a quote. He let us know he’d have a quote to us by Monday when he was leaving town for a vacation. In my email on Monday, the quote arrived. When he hadn’t heard back from us, a week and a half later he followed back up to see where we were in the process. I discussed the project with him, haggled a little (that’s what we Hammonds do), and he sent a revised proposal over the next day. The second company, Company B, responded to our online request as well, but it took them a few days. When the woman in the office called me, I explained what we were trying to do and was told that the guy who does the work could only come to my house to give me a quote between 9 and 4 pm on weekdays, and that with it being the beginning of the season, he was very busy and couldn’t likely get to me quickly. When I said that won’t work, she provided me with his phone number to reach out to him with my request, and then instructed me to call her back and let her know what he says so she can schedule it. The third company, Company C, never responded to my request. 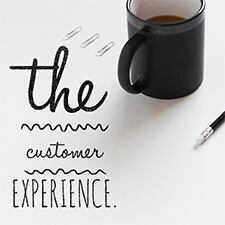 So my question to you is simply this: when a customer or member interacts with your association, is the experience you’re providing like Company A, B, or C? Do you go out of your way to earn their business/membership/registration? Do you make them engage on your terms only and jump through hoops? Or do you not even respect them enough to reply, causing you to never have a chance to regain their trust? With more and more competitors coming to market every day, in some cases for-profit companies who have much deeper pockets than we have, it is imperative that associations build a service culture in their organizations. It’s obvious that Company A has done so in my example above. What are a few elements of this culture? Promptly respond. Set a goal to respond to all inquiries within a certain amount of time (think 24 hours) and work to meet that every time. With the Internet culture we have now, people expect a quick turnaround when they need something, and if you don’t meet their expectations, they will find the answer somewhere else – perhaps from a competitor of your association. Do what you say you’re going to do. In my example above, the company did exactly what they said they would do – delivered a quote when they said, responded to my needs when they said they would, etc. If you say you’re going to do something and you don’t, your customers will lose trust, which is very hard to regain. Go out of your way to be helpful. Empowering your staff to be able to make decisions that are in the best interest of the customer always goes a long way. If you can go that one extra step to help someone when they need it, you will be creating capital that you can use in the future if something goes wrong. Make it easy. In my example above, Company B made purchasing their services hard for me. It was literally a burden from the first contact we had. How can you make the experience for your members and customers easier for them rather than more difficult? No matter what your customers are shopping for, there’s no denying that convenience rules.